The term Hall of Fame resonates really strongly with sports fans. It represents the absolute pinnacle of an individual’s career, no matter the sport. Debates amongst fans on who belongs and who doesn’t are endless, and fuel fun barbershop-style conversations. The National Baseball Hall of Fame in Cooperstown opened in 1939, and despite its rich history and large annual inductions, is currently wrapped in controversy due to its historically high entry threshold, scandal-plagued stars, and the number of star players implicated in steroid scandals over the last 20 years. Now, this has very little to do with the actual Hall itself — it’s more an issue with the ups and downs of the sport writ large, and the odd voting structure and rules that dictate Hall eligibility. Moving forward, though, there are certainly tricky situations facing the Hall, with no easy resolutions coming anytime soon. The one thing the Hall of Fame does do well is honouring people’s contributions to the game, whether they played or not. Of the 323 inducted members, almost 20 percent are managers, executives or umpires. The Hall recognizes that there are many people outside the white lines who helped build the game. In the same vein, as we have mentioned countless times, MiLB has been built by many people off the field and on, all creating fun and affordable ways to entertain fans. 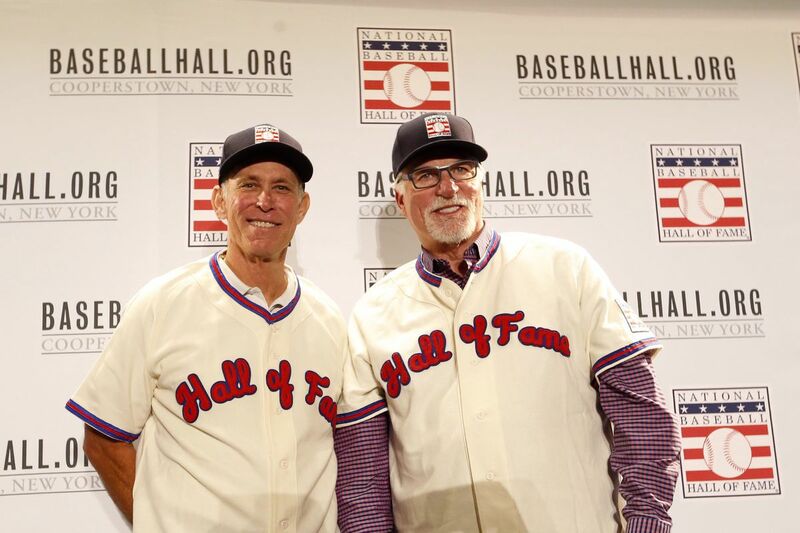 Seeing as how MiLB leagues have their own prestigious halls of fame, we want to have fun and list out who our Hall of Fame members would be if the entirety of MiLB had their own hall, similar to Cooperstown. The actual Hall would be online, so it could be seen by anybody at anytime. This also makes it easier to add to. In the spirit of MiLB, elements, pages, and even people would be sponsored. Ideally, we get a fun narrator, like legendary MiLB owner Bill Murray. Annual Inductions will be held during the Winter Meetings when the MiLB world convenes in one room. There have been countless executives and builders that have had incredible impacts on the industry, but for the sake of not wanting to leave people out, we will not mention any. The inductees can be anyone or anything that has made significant contributions to the MiLB experience: promotions, mascots, all are eligible. In an industry built on promotions, no promotion is more robust and popular than fireworks, no matter the market. Some teams even do it MANY times of year, with various themes and interactive contests mixed in to keep it fresh. It is so popular, in fact, that even the historically conservative MLB have adopted some of MiLB’s practices, with postgame fireworks at the forefront. This promotion is right behind fireworks in its popularity. What makes this more popular then Kids Day, Fan Appreciation, or Thursday Thursdays is that every team does bobbleheads for its former player, current mascots, and as this product has evolved, even more fun and unique ones, commemorating a player’s unique skillsets or moments. Yes, technically he is an MLB mascot with an incredible history at other sports, but there is no underestimating his incredible impact on MiLB. He has done the rounds countless times, was inducted into the mascot hall of fame, and is essentially the godfather of mascots.He is even commemorated in Cooperstown! This is a lifetime achievement award, because very few people are as synonymous with the charm of baseball as the lead for Bull Durham, For The Love of The Game, and Field of Dreams. This is not a ‘which movie should be in the Hall of Fame’ discussion, but really, no other person describes the romance of the sport like Costner has on-screen over the years. He helped bring the sport to life in a way that nobody else could have or did. This would be like Ricky Vaughn going into the Indians Hall of Fame. A League Of Their Own gets really strong consideration, especially considering this iconic line, but again, the movie wasn’t about the actual minors, so its unfortunate. Who knows, maybe it will get inducted down the road. Honorable mention goes to The Sandlot and Bad News Bears. The former’s cast actually is STILL doing the rounds, and basking in their popularity. We have all seen the clip ad nauseam, and it totally contradicts what I mentioned earlier about building the business and all the great aspects of the sport off the field. This, however, is a bit different. Aside from this play also being immortalized in Cooperstown, in the true spirit of MiLB, the Portland Beavers made it into a really cool bobblehead! McCray is still remembered fondly for doing whatever it takes for his team. What makes this play unique is that it is quintessentially “minor-league.” Yes, it makes the stadium look bush league for their fence being a doggie door, but there is something neat about it: The player running his fastest, the fence not being able to contain his passion, the play being monetized for years to come, the empty seats. The great thing about MiLB is that in years to come, as the industry continues to grow, there will be other nominees, ranging from branding and apparel companies like Brandiose and Lids, to khaki pants and hot dog eating contests.